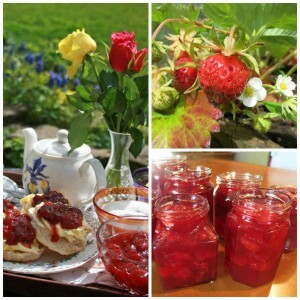 Quality en-suite B&B, farm accommodation, North Devon countryside, Barnstaple, Exmoor. Escape to this beautiful, award winning 16th Century farmhouse with en-suite bed and breakfast accommodation, situated near Barnstaple and Exmoor National Park. Surrounded by open fields, woodland and panoramic views of rolling North Devon countryside, Huxtable Farm B&B nestles in the foothills of Exmoor. Having been lucky enough to have lived in this beautiful part of North Devon for over 40years we, Jackie & Antony, would love to share our special places to visit with you, whilst you relax and unwind with a holiday or a weekend bed and breakfast break in our comfortable, historic, 16th Century Medieval Devon Longhouse (Tudor panelling, oak beams, log fires, uneven floors and low doorways!) and lovingly converted listed barn. Tucked away in a secluded, peaceful position (away from public roads), within its own 80 acres of countryside, situated in North Devon’s Area of Outstanding Natural Beauty , yet only 2 miles from the A361, linking North Devon to the M5. 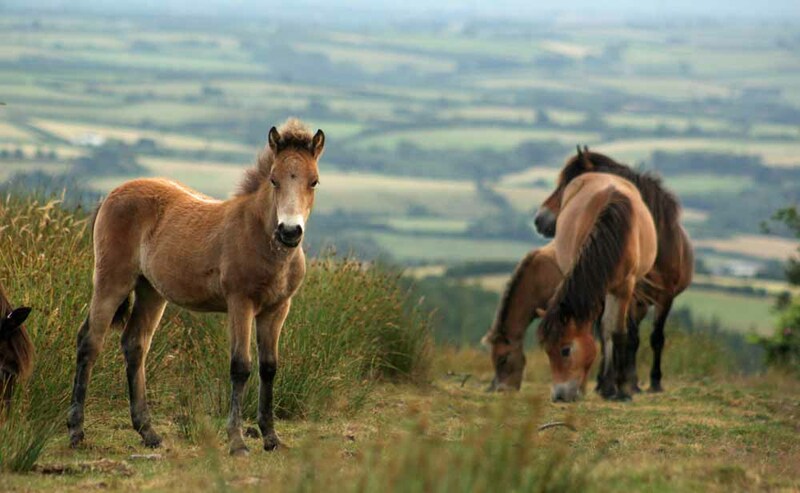 This is an idyllic hideaway for exploring the beauty of Exmoor National Park, North Devons dramatic coastline with its historic harbours (Lynton/Lynmouth and Clovelly) and market towns (Barnstaple & South Molton). Discover National Trust Property – Arlington Court and visit the beautiful gardens of RHS Rosemoor, Marwood Hill or Castle Hill nearby. 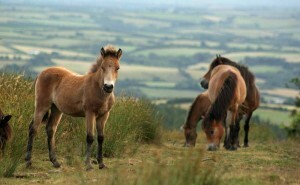 Surf, swim or paddle at the golden sandy beaches of Saunton Sands, Woolacombe, Putsborough & Westward Ho!, go horse riding on Exmoor or a bike ride on the Tarka Trail cycle path or visit family attractions; ‘The Big Sheep’, ‘Exmoor Zoo’ and ‘Combe Martin Wildlife & Dinosaur Park’. 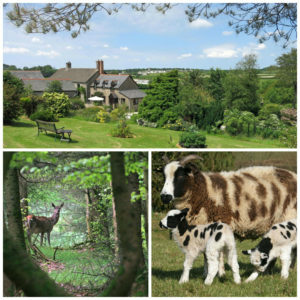 With the Tarka Trail and Macmillan Way walking routes passing Huxtable Farm’s entrance enjoy walks directly from the doorstep, a circular walk on Exmoor or along the South West Coast Path. Abundant wildlife, panoramic views, breath taking sunsets & starry skies can be observed whilst you explore the ‘Devon Wildlife’ trail around the farm; A haven for bird watchers, photographers & artists. with board games and small library, sauna, games room, and a flock of Jacob sheep lambing in Spring. 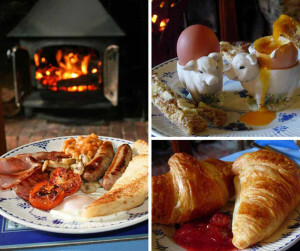 Awake to a hearty breakfast, freshly cooked to order using farm and local produce, served with home-made bread, jams and free range eggs, in the beamed medieval dining room with the warmth of the crackling log fire. Jackie & Antony look forward to welcoming you with a Devon cream tea on your arrival! 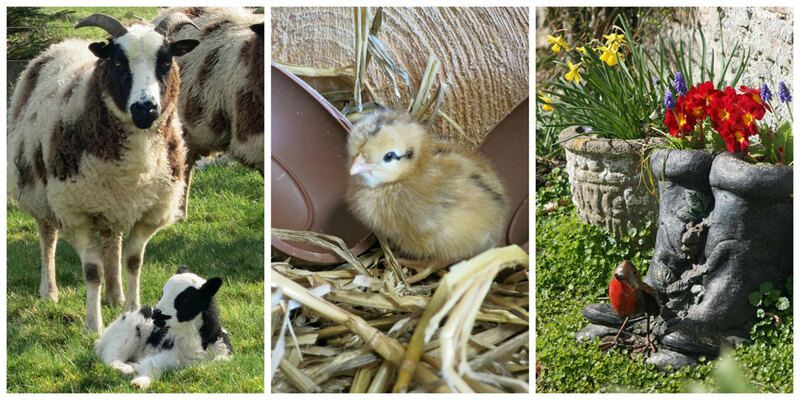 Huxtable Farm is a non smoking establishment and we do not provide accommodation for pets.